As you pull the needle through and draw the thread tight. It should look like you are pulling the thread through a loop... 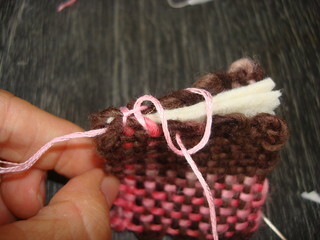 When you tighten this, it will make a locked stitch with a little horizontal line that travels across the spine.